Especially if you know how to kick it on the Huron River! May I suggest Into the Beautiful North by Luis Alberto Urrea, the Nick Adams Stories by Ernest Hemingway, and Our Band Could Be Your Life by Michael Azerrad? Hey, I read that book! 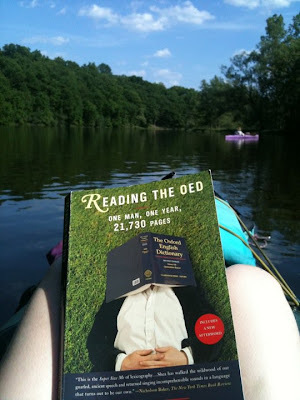 Reading the OED. It's pretty good!